Need a better way to store fuel? Introducing the most robust, highest quality Jerry Can on the market. Made from Cold Rolled Steel, this mil spec can includes a safety spout and adapter for vehicles with smaller filler receivers. Simple, effective storage of fuel has never been easier! Storing gasoline or fuel for survival purposes sometimes gets overlooked but could be an invaluable tool if disaster struck. 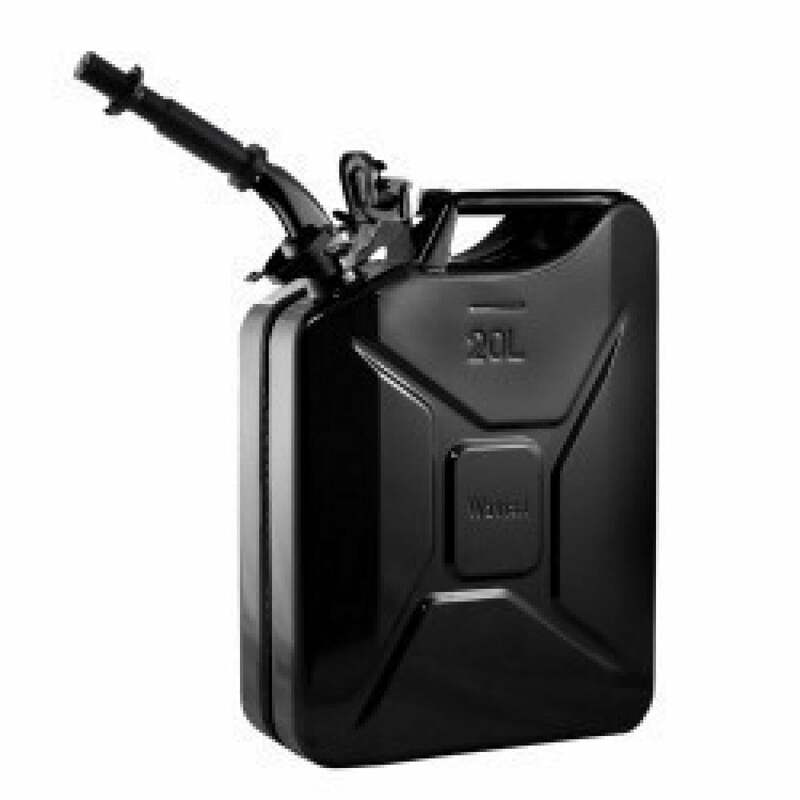 Having a portable, heavy duty fuel can to power vehicles or generators during an emergency is easy to do with the 5.3 Gallon Heavy Duty Jerry Can from Legacy Food Storage. There is not a more robust or higher quality Jerry Can available on the market, so grab a couple for your emergency storage and be prepared with fuel in case the worst happens! 20 Liter Jerry Can system includes spout and spout adapter. Full, internal breather pipe for splash-proof pouring. Safety spout attached, also includes an adapter for vehicles with smaller filler receivers. Painted exterior epoxy polyester powder coat.